For many families with young children, baby monitors are an essential tool that allows parents to feel secure in the knowledge that their children are sleeping or playing safely. If you know that they’re safe, then you can relax yourself – parenting can take a lot out of you and anything that lightens your load is sure to be welcome. 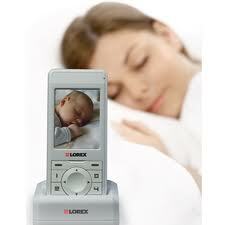 In addition to traditional audio devices, many companies produce baby monitors with integrated cameras, letting you not only hear when your newborn needs you, but also see them as well. With the right system, a good video monitor can be the next best thing to being there! This guide will run you through the essentials and optional extras to look for in video monitors. Elsewhere on our site, you will find reviews written by parents whose personal experience of these products can help you find the best monitoring solution for your family. • Sound Quality – Although video monitors are a great way of improving child safety and parental freedom, it’s important to remember that any monitor you buy should focus on sound quality as the main priority. As a parent, you’re programmed to wake up in the middle of the night when you hear your child cry, ensuring you’ll be there when they need you. Many baby monitors will feature flashing lights to help wake you if you’re needed, but be sure that your video monitor provides clear, undistorted sound when it counts. Poor quality sound can ruin your night’s sleep and put your baby at risk, so when you’re reading video monitor reviews, check that they operate at a suitable volume and operate at over 900MHz – ideally, you should aim for over 1.4GHz and with DETC. • Video quality – It probably goes without saying, but if a monitor has lousy picture quality, then you might as well just have an audio device for a fraction of the cost. Be on the lookout for video monitor reviews mentioning fuzzy pictures, poor infrared images and short range. o Make sure that both the parent and nursery units of your device come with with low battery warning alarms. Many baby monitors come with this as standard and it should be mentioned in video monitor reviews. o Voice activated monitors are also fairly common and many can be programmed to only activate the camera when required, helping to keep battery usage down. o Higher end monitoring systems come with the option to increase the number of parent units for your system. This allows you to keep one of your devices plugged into the mains in the room you’re in most frequently and, while that charges, the other unit can be carried with you, keeping you in the loop when the baby needs you. o Other, more elaborate solutions include directing the video broadcast from the nursery monitor to your television, tablet, computer or mobile phone. • Camera positioning – While many baby monitors are small enough the place just about anywhere, you should make certain that any device you’re looking at can be mounted where you’ll need it most. Ideally, a camera unit should be able to see the entirety of the cot without anything blocking the view, so somewhere high up with a good angle over the best will be best. After all, if you’re paying a premium for video monitoring technology, you’ll want to get the most out of it! Also be aware that camera units will require power cables, which can be dangerous to your child if they become entangled. Eliminate this risk by looking for a device with a longer lead that can be kept out of harm’s way. • Camera Control – In high end video monitors, you’ll have complete control of the camera, which you can remotely control through the parent unit – keeping an infant on screen throughout the night or letting you keep an eye on your toddlers as they play. 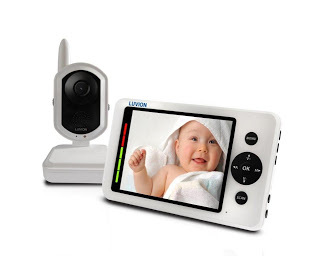 • Extra monitors + cameras – Busy families and those with larger homes benefit especially from video baby monitors, letting feel like you can be in two places at once, even if you only have one pair of hands! Getting a model that can support multiple cameras means you can expand your system as your family grows, making sure everyone is safe at all times. 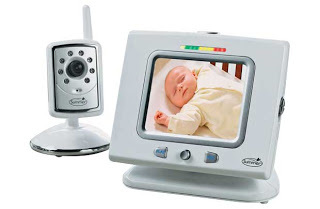 • Social – In addition to their household safety functions, some video monitors offer a suite of social media and recording features – letting you capture images and videos of your baby, and upload them directly to Facebook, Twitter and YouTube. • Mobile – Some new models, including iBaby and Wither’s Smartbaby, offer integration with the latest smartphone technology. So even if you have to travel for work, you can check up on the little ones at home – even from the other side of the world! Though there are many popular brands out there, when you’re looking for the perfect system for your family, make sure to read video monitor reviews written by parents like yourself. If a device exceeds expectations, or doesn’t live up to its promises, there’s no one to tell you better to tell you than someone with real life experience. See reviews from our customers here.